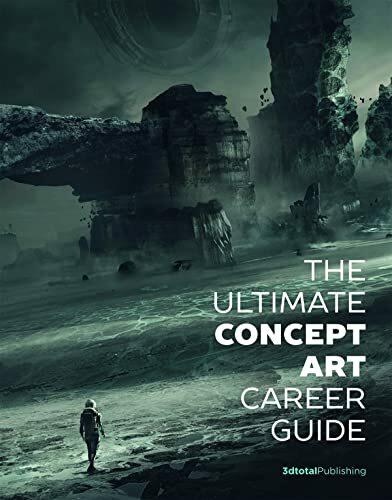 The Ultimate Concept Art Career Guide is a book for those who might be interested in a concept art career. This is an informative and insightful guide that talks about the different aspects of such a career, what you should expect and most importantly, what do concept artists really do. The book will show you what the job entails, the job responsibilities, the type of people you'll be working with, their job scopes, and how art direction and art creation fit together. There are lots of examples on the type of tasks and assignments you'll need to take on as a concept artist. You can probably get a clear idea on whether or not you''ll like this career after going through the book. The book also covers how concept art work differs for the film, TV, video games and animation industry. For example, when you're designing for film or TV, actual sets or props have to be built, or clothes be made. Those designing for video games don't have to worry about physical sets but have to consider the constraint of the game. If you know that you want to embark on this journey, there are also resources in the book on where you get get educated, how to brush up your skills, prepare your portfolio, help you understand what studios are looking for and handle interviews. It also has a section on the pros and cons of self-teaching. There are also topics on developing good work habits, freelancing, working in-house, or how you can branch out from a concept art career. This book also has several interviews with other concept artists who generously share their tips and experiences. There are also several day journals that show you how each artist goes about on a typical day at work. This is a fantastic guide that I think covers all the info that one might need to know before deciding to be a concept artist. It helps sets your expectations.